Village Green Environmental Studies School held a luncheon in honor of Grandparents Day on Friday, September 9th. 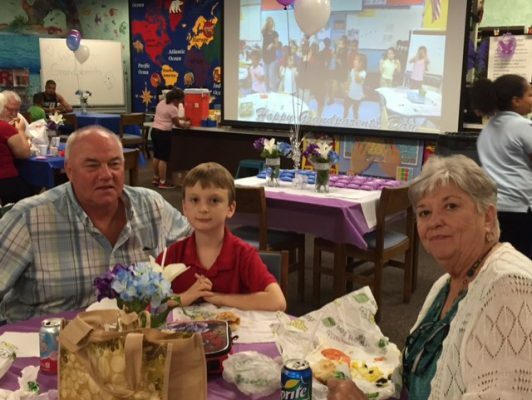 Great grandparents, grandmothers, and grandfathers were treated to a special lunch, poem, gift, and a student-created video to honor this very special occasion. Lawnwood Elementary Celebrates College Colors Day! Lawnwood Elementary School faculty and staff participated in the annual College Colors Day to promote the expectations for all of our students to graduate high school and go to college. Go, college bound Leopards! For the latest news regarding Zika resources and updates, visit the website for the Florida Department of Health in St. Lucie County.